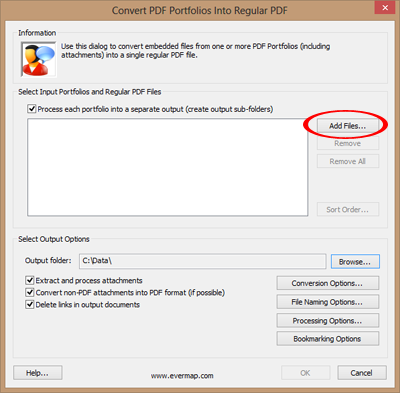 It is often necessary to convert a large (multi-gigabyte) PDF Portfolio into a regular PDF document. Converting large portfolios requires a lot of processing time and memory. Adobe Acrobat may become unstable and crash while trying to merge an enormous PDF document. The best approach is to process a large portfolio in smaller increments by selecting a range of records for processing. There is no need to physically divide a large portfolio into smaller ones. The AutoPortfolio plug-in provides a way to select only a specific subset of records. Start Adobe Acrobat. Do not open any files. Select "Plug-ins > AutoPortfolio Plug-in > Convert Portfolio into Regular PDF..." from the menu. Press "Add Files..." button and select an input PDF Portfolio. 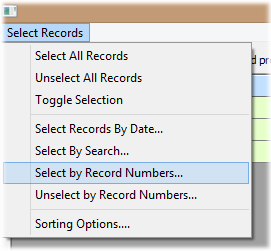 Press OK button to apply record selection. 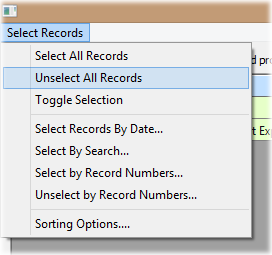 Next, press OK button on "Specify Sorting Order" dialog to continue to main screen. 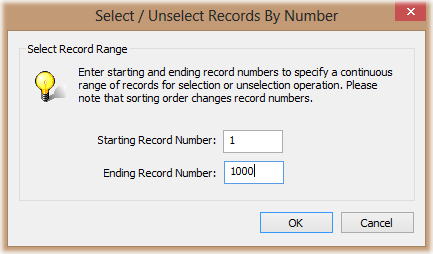 Now processing will be limited to selected records only.